Now that I have talked about the ones I like, let's break down the ones I'm confused about. There are a whole group of them that I don't even know. Maybe as time goes on they will be picture worthy. For some of them though ... I have to wonder what the heck was up with the pick. 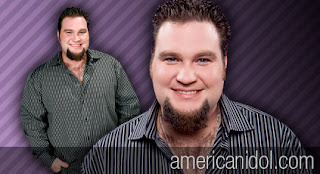 What is Sundance Head doing in the final 24? His Daddy is pulling some strings for him up in the sky because he messed up his chance plenty of times. I loved when Simon said he looked like he was roasting on the stage (or something like that). I totally think there were others that could have been chosen over this dude. Hey, it is all good for the Asians in Pop, but Paul Kim already has me looking for the next dude. I am not fond of gimmicks, so now that "his thing" is going around without shoes, I've lost every bit of interest. They should not have shown Leslie Hunt performing if they wanted to convince us that she belongs in the final 24. In comparison, her voice was weak at best. Who really thinks Antonella Barba made it to the final 24 because of her voice? Not me! For real, the girl is commercial and can hold a tune. If Baily hadn't screwed up (which was totally her own fault), I don't think Antonella would be there.